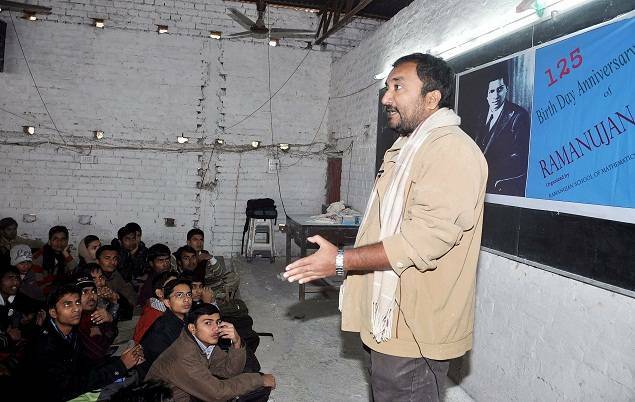 PATNA: “Super 30” founder Anand Kumar today said his free coaching institute had brought tremendous change in the life of unprivileged class people, creating a sort of hunger for study. “I am picking only 30 students every year but what is significant here is that it has conveyed a message in the society that a talented student could achieve anything no matter he is poor and short of resources,” Kumar said in an exclusive interview to TheBiharPost. “Ham to keval 30 bachche ko lete hain lekin badi baat yah hai ki gaon-gaon tak message gaya hai ki agar aap garib hain, resources nahin hai lekin chata hai to kuchh bhi kar sakte hain,” he said. What deserves further mention here is that the concept of “Super 30”, he explained, has forced many organizations to open such institutes which have benefited the poor, talented children. “This is massive change in the society,” he added.